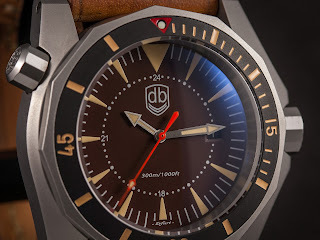 Vintage-VDB 2018, continue their 10th Anniversary celebrations with the next installment of their popular serial models. 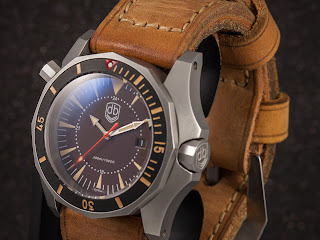 If you are new to the brand, they are a must have for any serious collector. 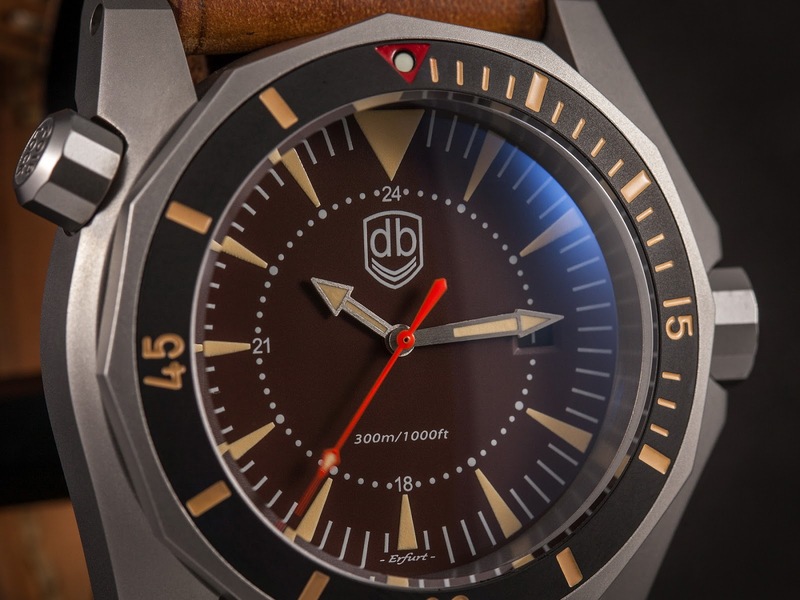 This is the VDB 2018 which comes in 5 variants allowing you to choose from: a Carbon GMT, Bronze, Polished, Blasted or Black PVD model. The watch gets a Swiss EAT automatic movement and 300 meters of water-resistance. Further divers features include: a timing bezel, sapphire, screw-down crown and case-back. 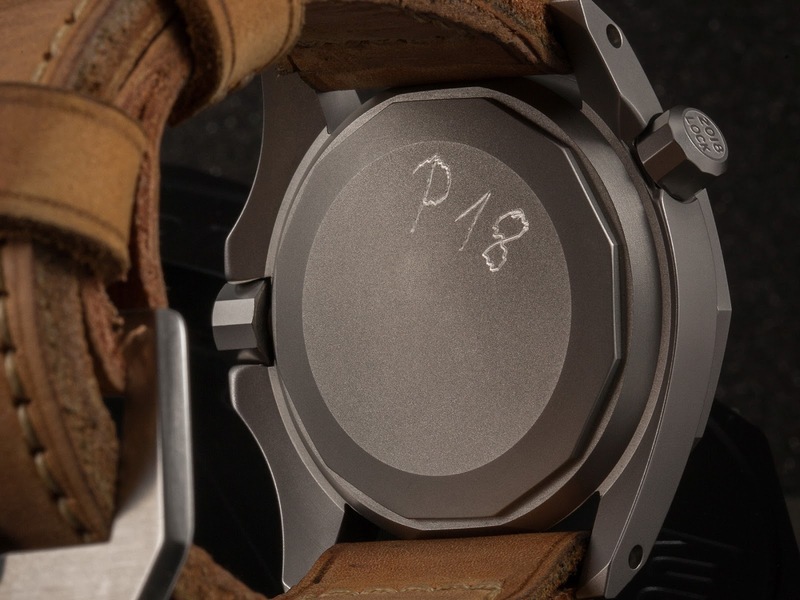 Special features include an additional crown at 10 o’clock that forms part of the watch’s bezel-locking device. 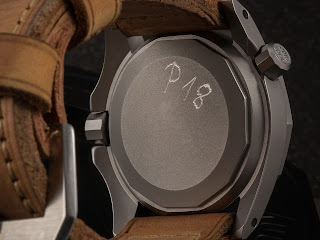 The crown's face is signed with the ''2018 Lock''. At the bottom of the dial at 6 o’clock the name Efurt proudly sits as a reminder to the region where VDB’s small atelier is in Germany. 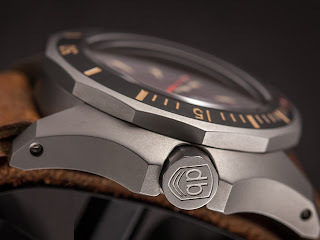 The VDB 2018 Blasted is limited to 50 pieces and is currently available at a special pre-order price: 1090 euros until July after which it is will go up to it regular price of 1290euro. Thoughts? 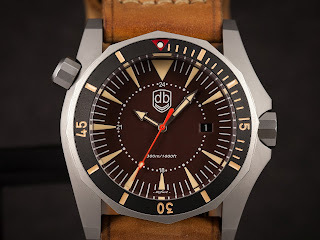 Another chunky VDB serial diver - what's not to like; however I can't help wondering what they could come up with in terms of something a little sleeker.